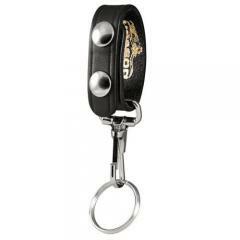 Genuine leather belt keeper with key ring. For belts up to 2.25" wide. Leather is good but snap is cheap and not very good.